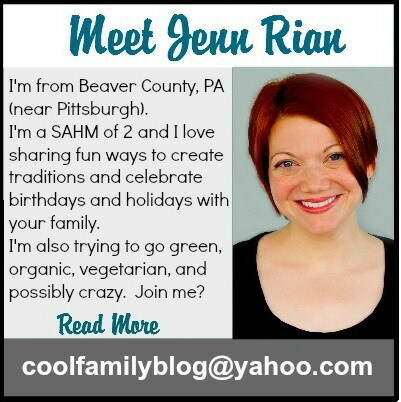 Hi, I’m Jenn! This is my 4th year participating in The Ultimate Blog Party and after four years I’m not sure how many different ways I can introduce myself without sounding repetitive, so this year I put together a little video that describes my blog. 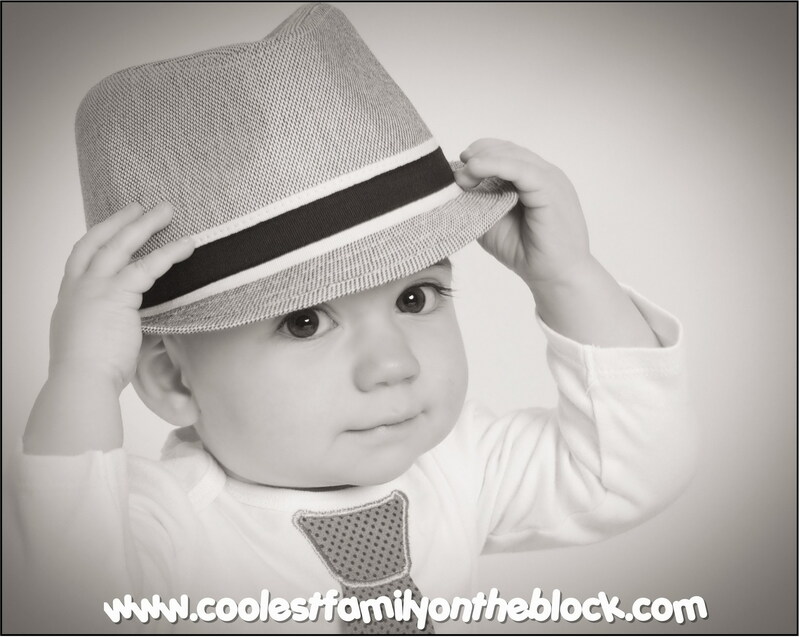 Coolest Family on the Block is about birthdays, holidays, traditions, and family fun. I also love vlogging and blogging about myself and whatever pointless, sarcastic thing pops into my head, but I do all of that over at my other blog: I Make Myself the Queen. You can read more about me on my about me page (duh) and over at my personal blog I Make Myself the Queen. 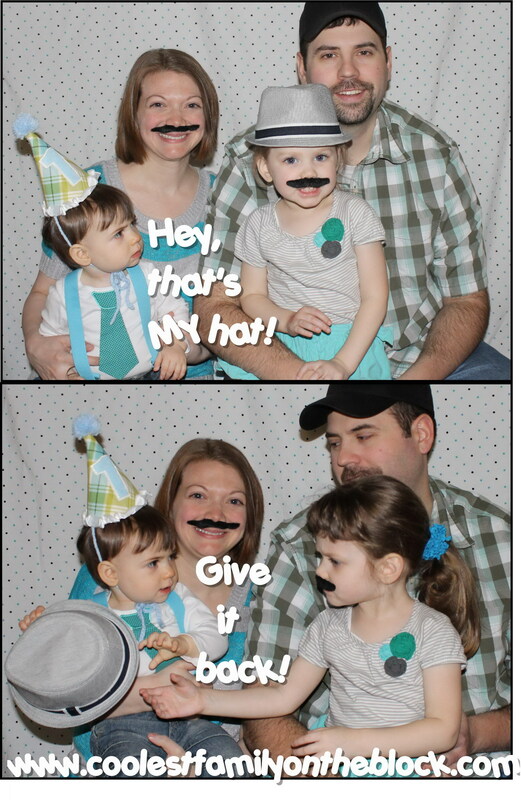 Yesterday was Adaline’s half birthday! She’s 4.5 years old and in just a few days Jonathan will turn 2! 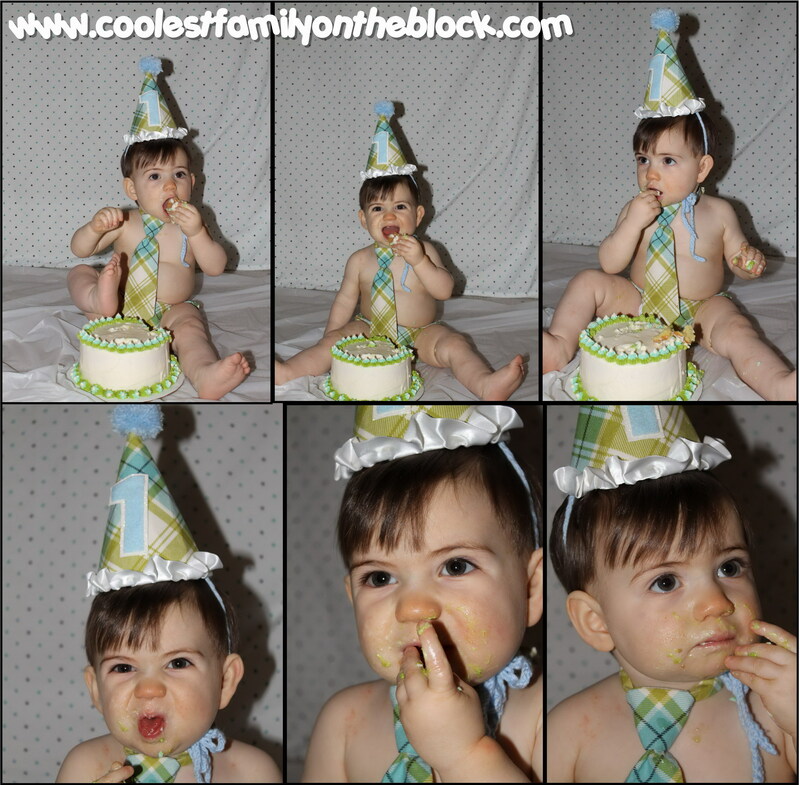 Last year my little man’s 1st birthday came and went and I didn’t even mention it on the blog. I’m a bad mom. Or a bad blogger. Maybe both. 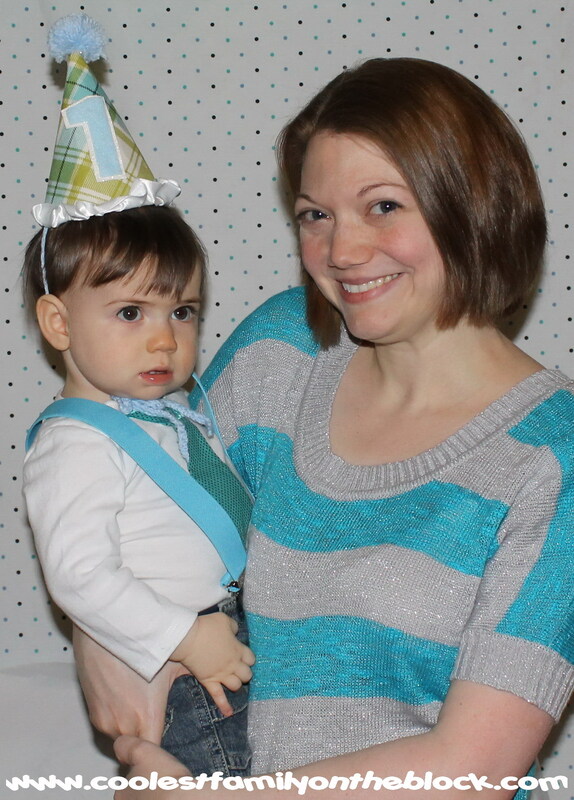 Anyway, now it’s days before his 2nd birthday and I’m finally going to show you the pictures from his first birthday party. 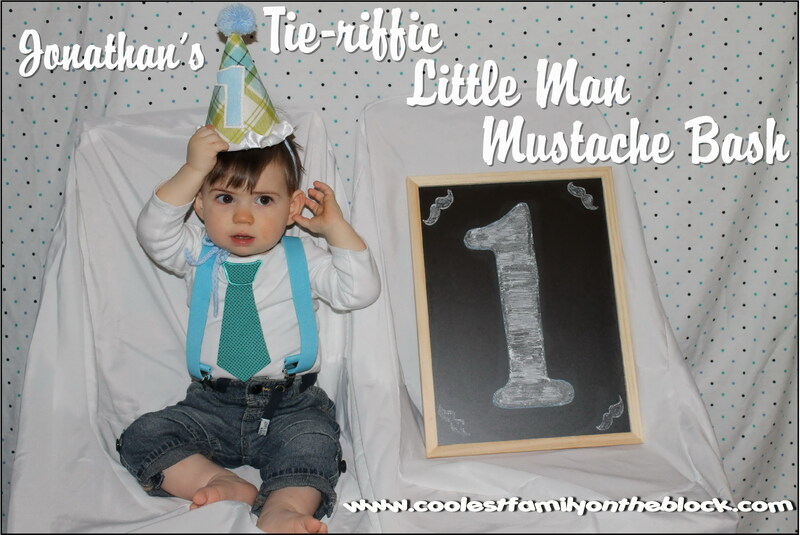 The printable necktie banner is actually a free Father’s Day printable. The only letters missing for “Happy Birthday” were “b” and “i” so I put the file in Paint, painted over it and added new letters. 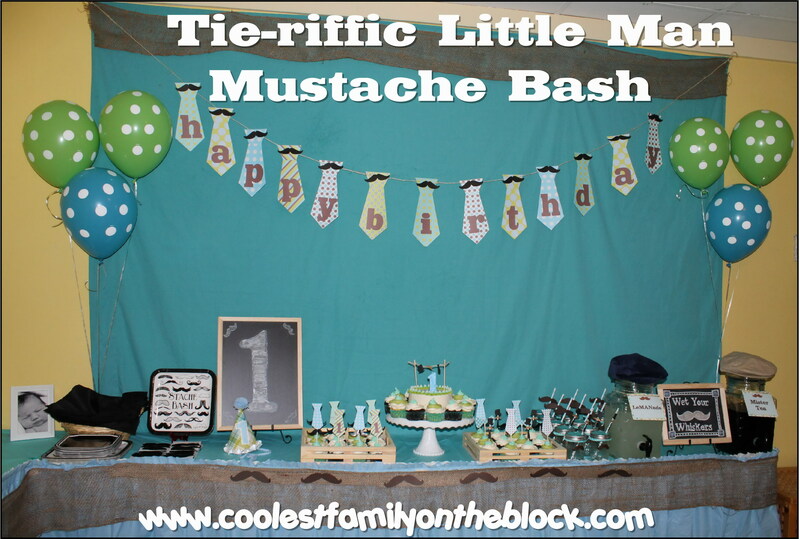 I cut out some free printable mustaches and attached them to each letter of the banner. 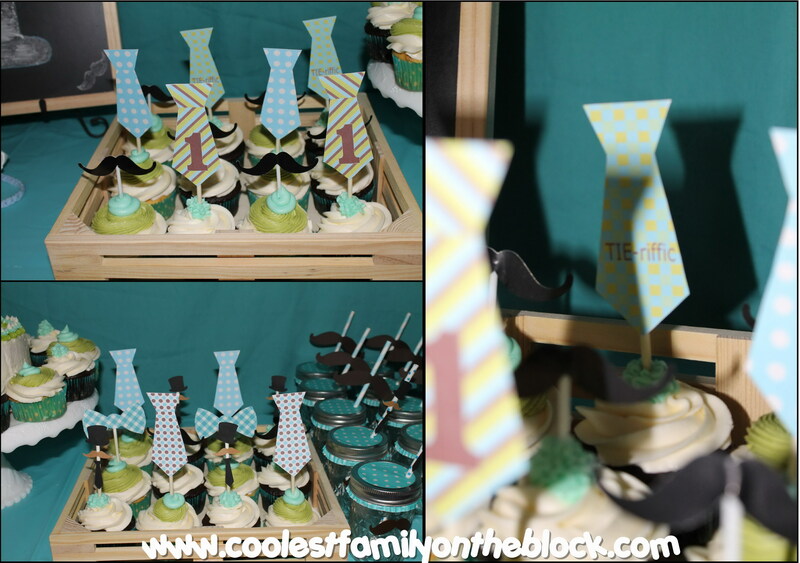 The cupcake toppers were from the same Father’s Day set. Some had said #1 so I just removed the “#” symbol in Paint by “painting” over it. The wooden crates that the cupcakes are in are actually from sets of Melissa and Doug play food. 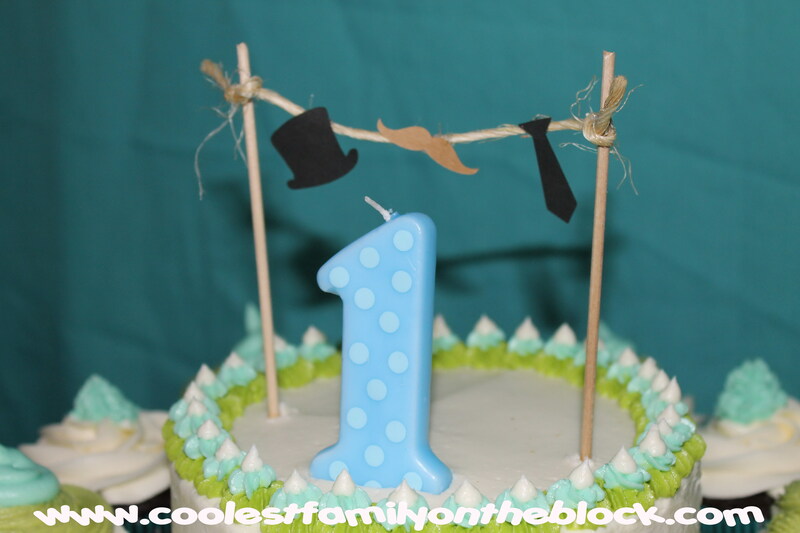 The Little Man cake topper was made using little dowel rod craft stick thingies (the technical term) and twine. 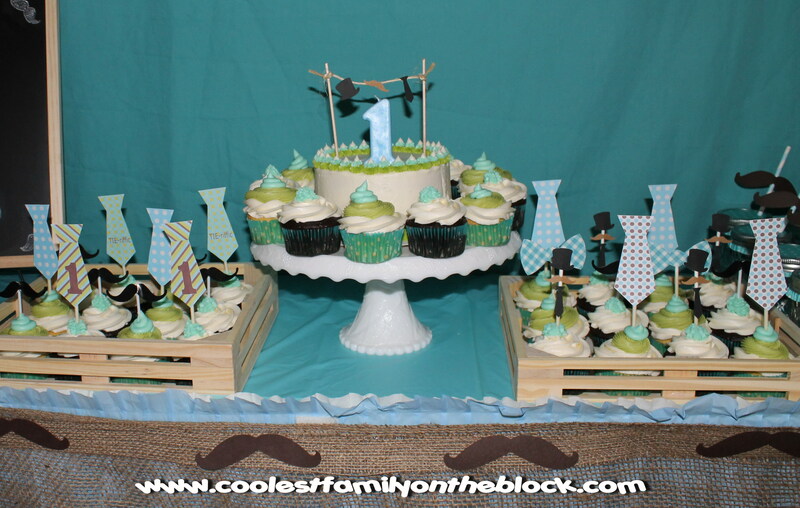 The top hat, mustache, and necktie cutouts are from Etsy and were attached using craft glue. 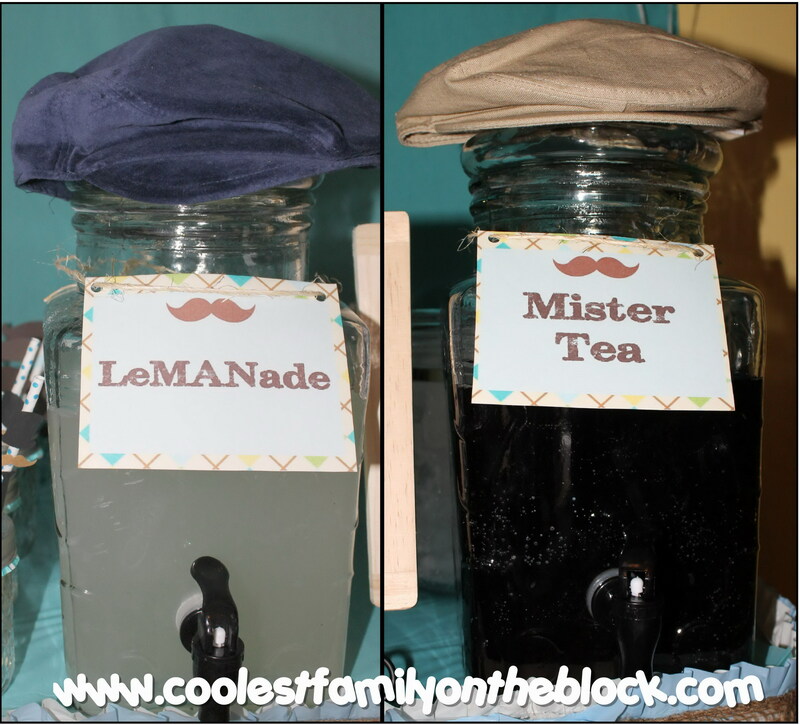 I think the Little Man drink station was my favorite detail of the party. I used printable tent cards for the signs and added the text myself. 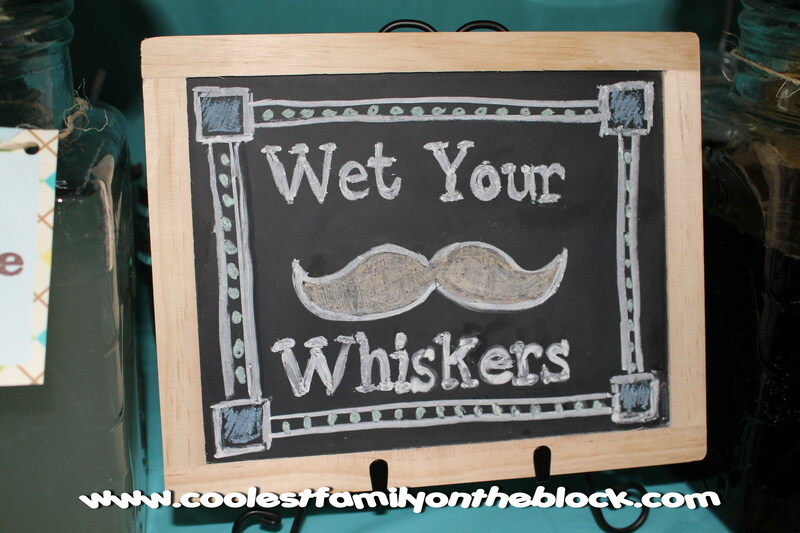 This was my first attempt at a chalkboard sign and I think the “Wet Your Whiskers” sign turned out really nice. 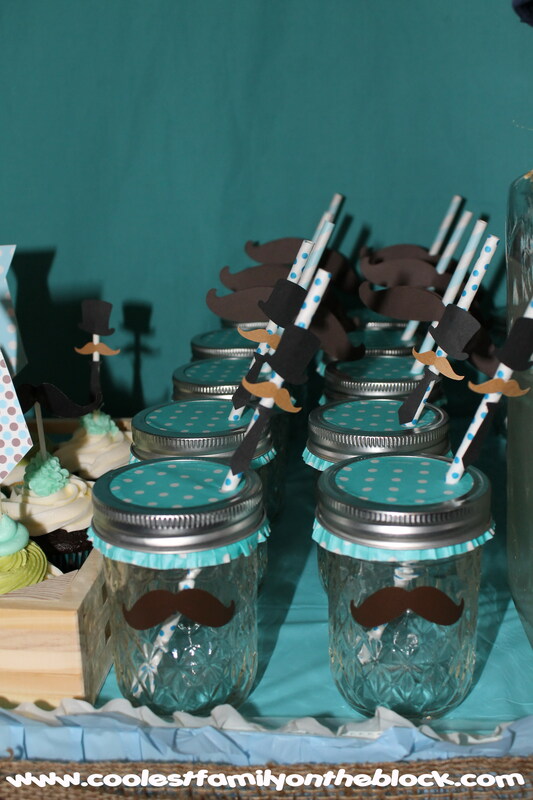 The drink glasses are mason jars with vinyl mustaches on them, cupcake paper toppers, and paper straws with mustaches or other details on them. 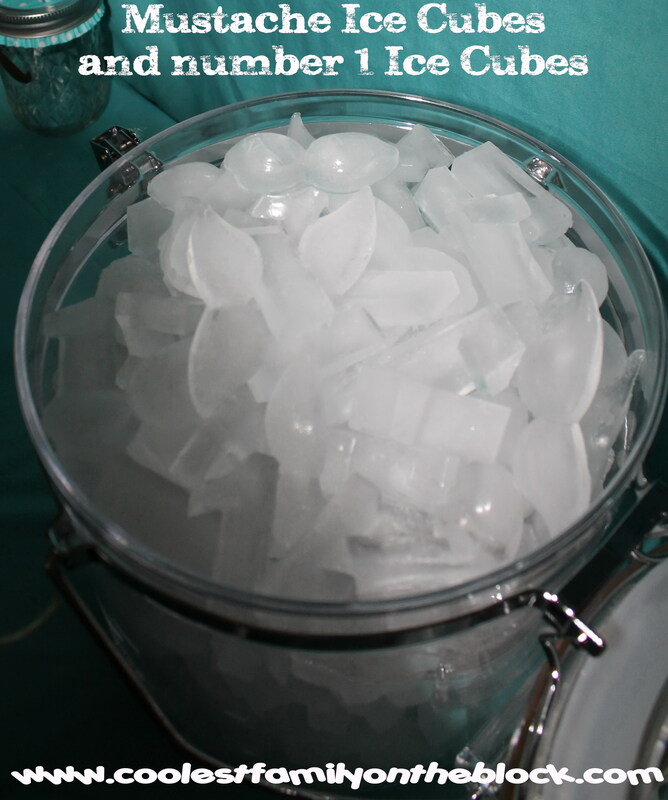 I make number ice cubes for the kids’ birthdays each year. 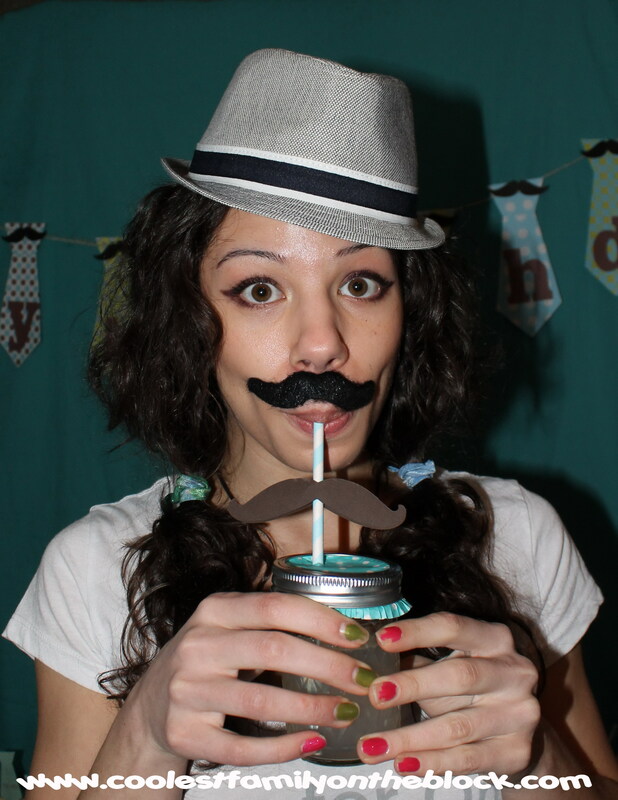 This time I made mustache ice cubes in addition to the #1 ice cubes. 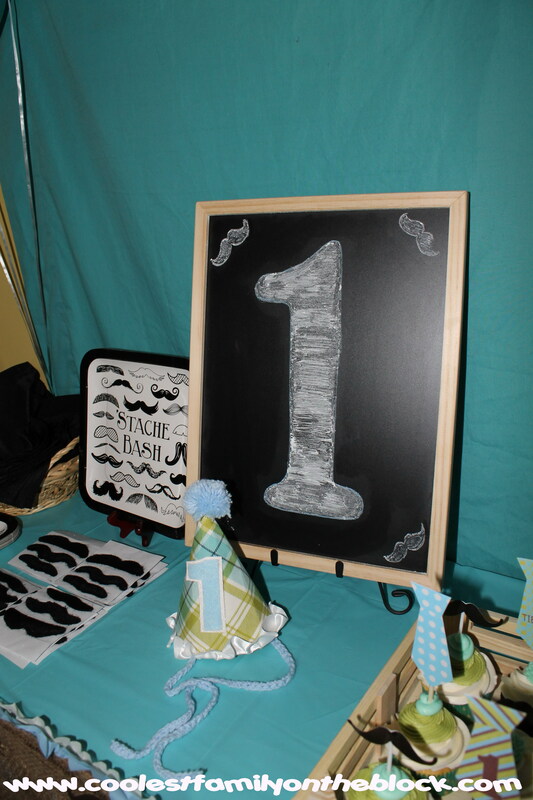 I wasn’t as thrilled with this #1 chalkboard sign as much as the “Wet your whiskers” one. I tried it a bunch of times but it never came out right. 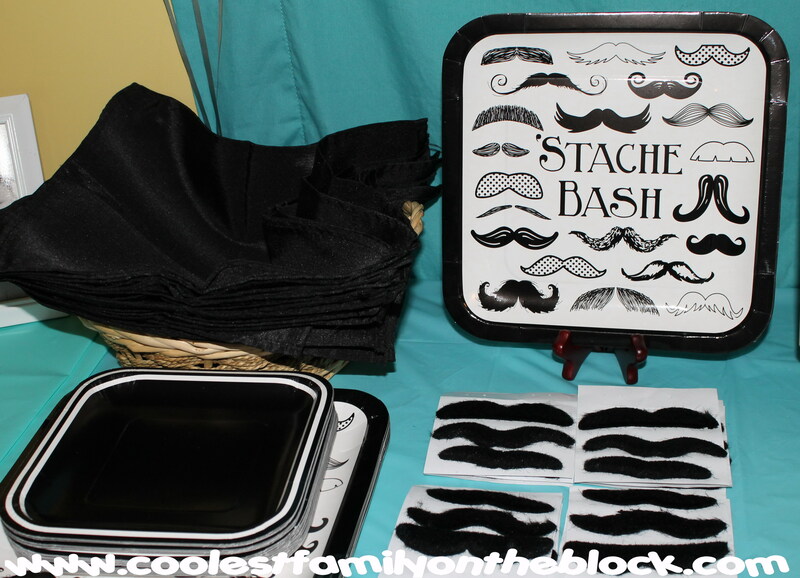 Cute “Stache Bash” paper plates and adhesive mustaches for all to enjoy! I was going to fold the napkins into neckties and ran out of time, so it’s just a basket of napkins. Oh well. These are my cousins. Weirdness runs in the family. 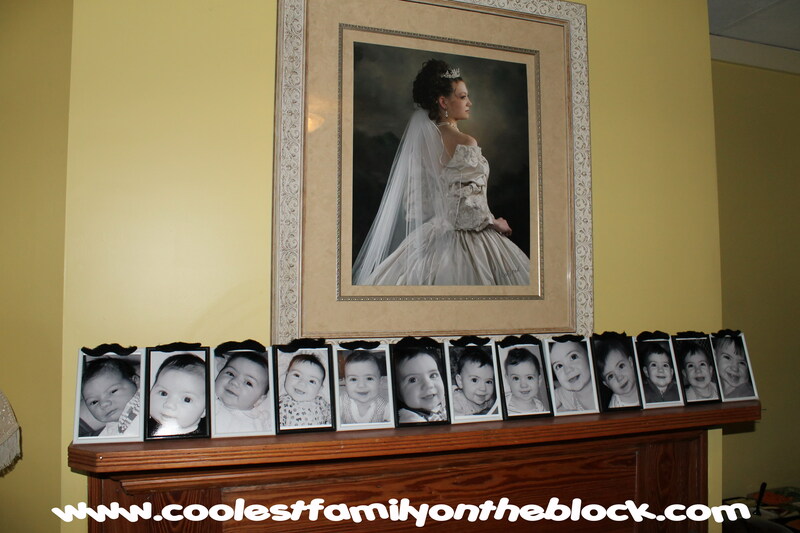 13 photos of Jonathan from birth to 12 months line the mantel. 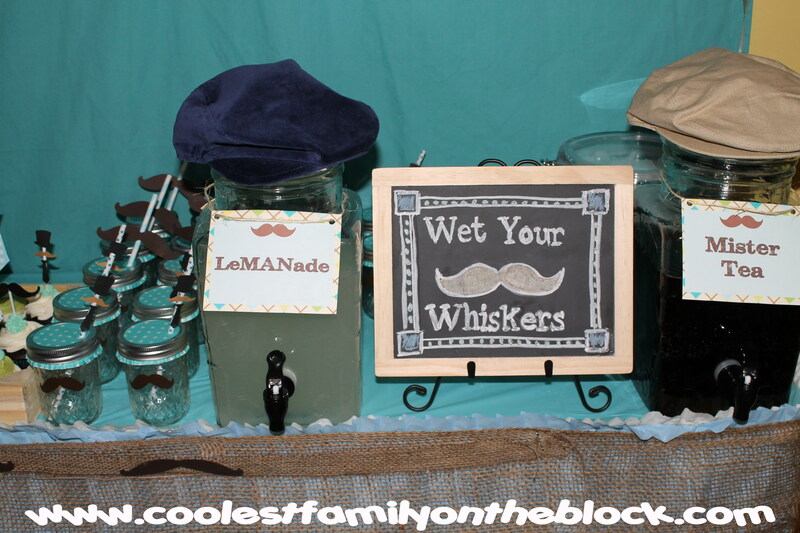 I attached adhesive mustaches to the picture frames. 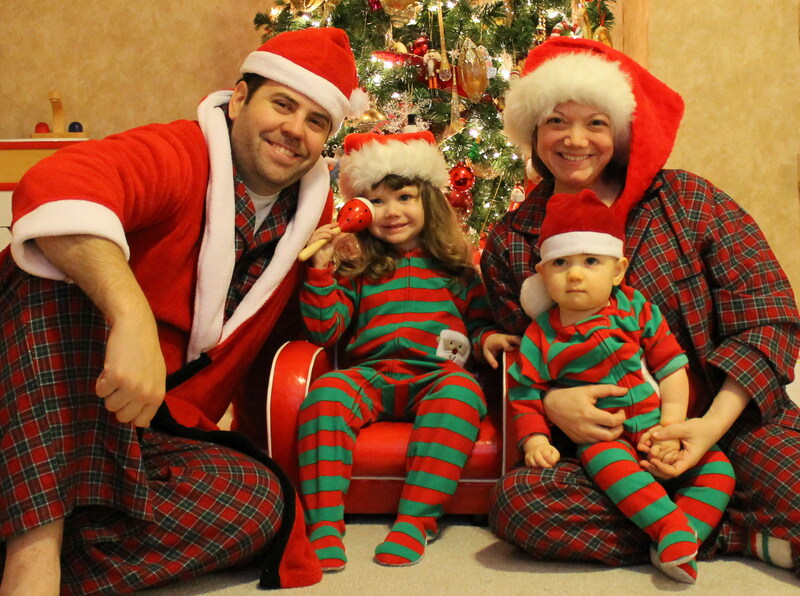 The picture frames were purchased in 3-packs at Target in 2010 for Adaline’s 1st Birthday. Jonny checking out his cake. It’s time to sing Happy Birthday! For the cake we laid a plastic table cloth on the floor and let him go to town. He never really did go to town. He just kinda walked around the block a little. 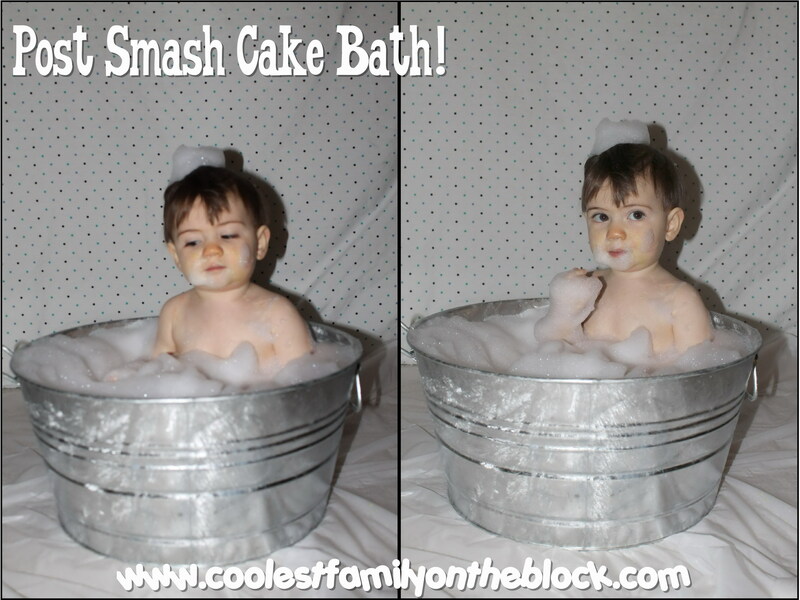 Jon barely had any cake on him but we still went ahead with his post smash cake bath. 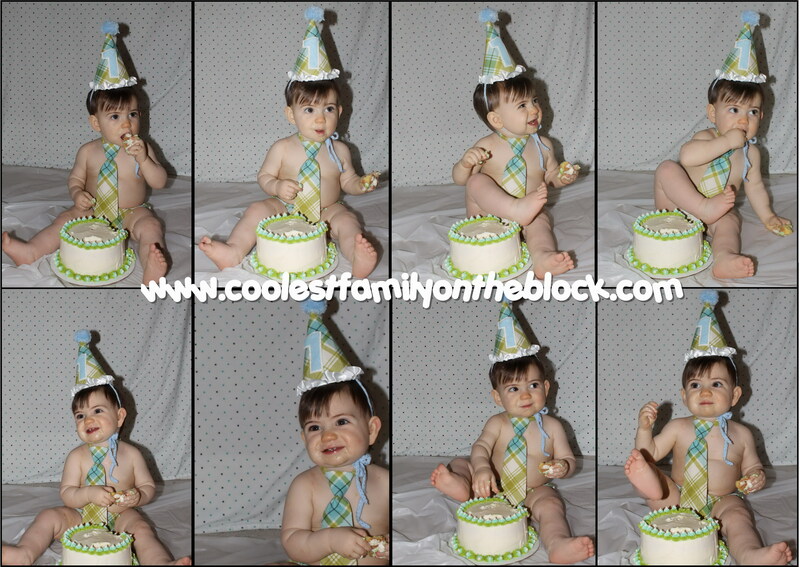 He was more interested in eating the bubbles than he was in the cake! Here our little man was taking some of his first steps. 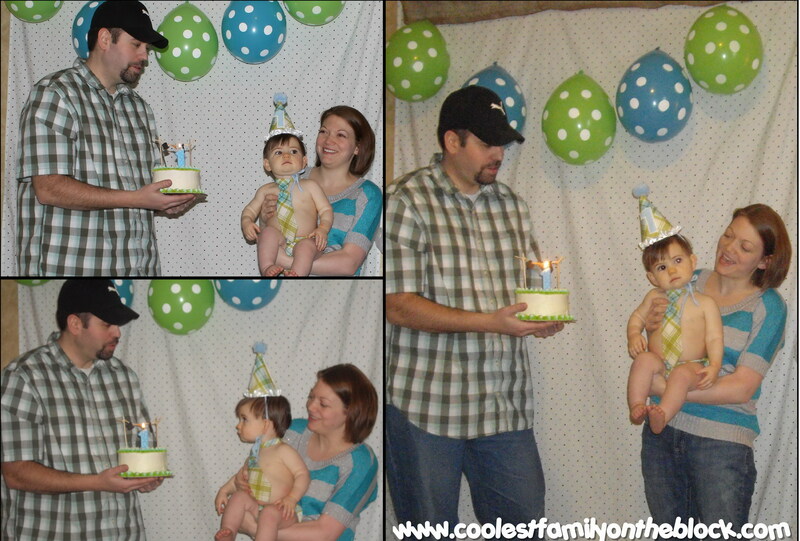 Adaline started walking on her first birthday as well. 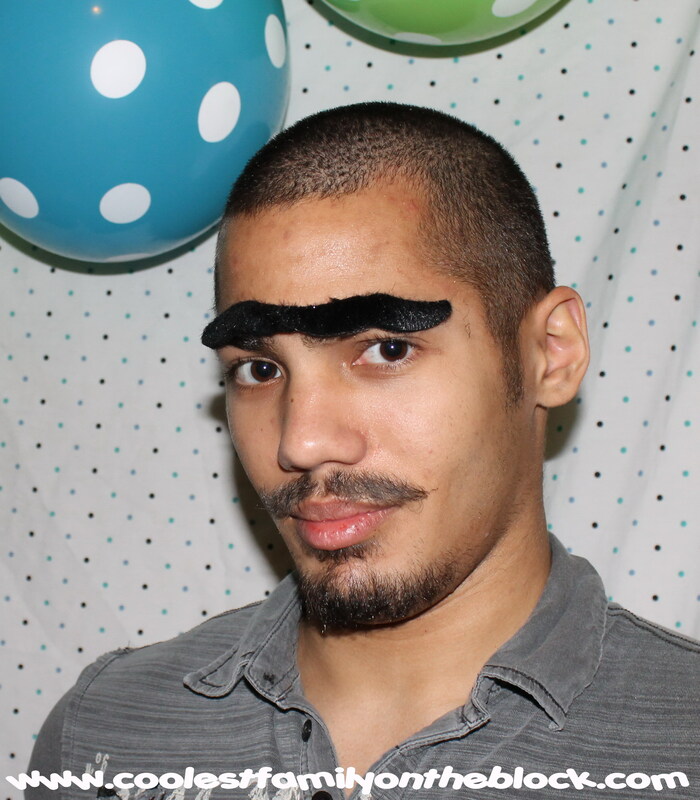 By the way, it’s not easy to smile wearing one of those adhesive mustaches. 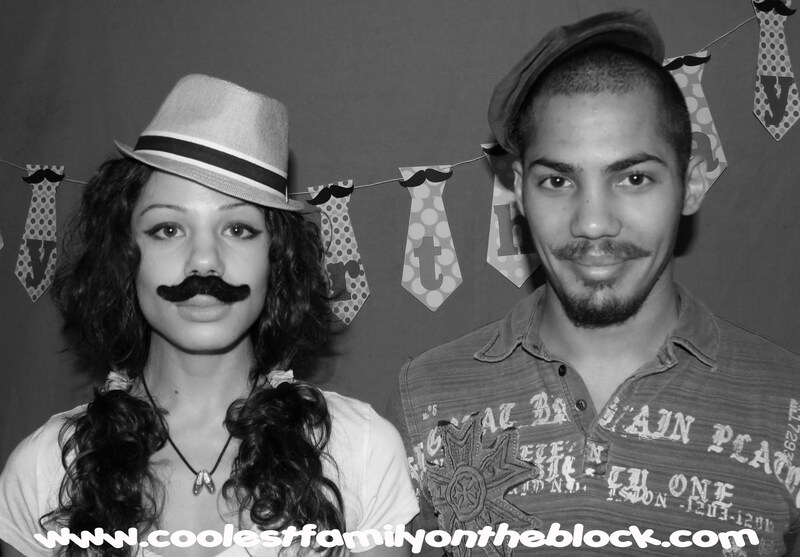 Here’s our family mustache free (for the most part). I always try to get a photo of the birthday kid next to their number sign. 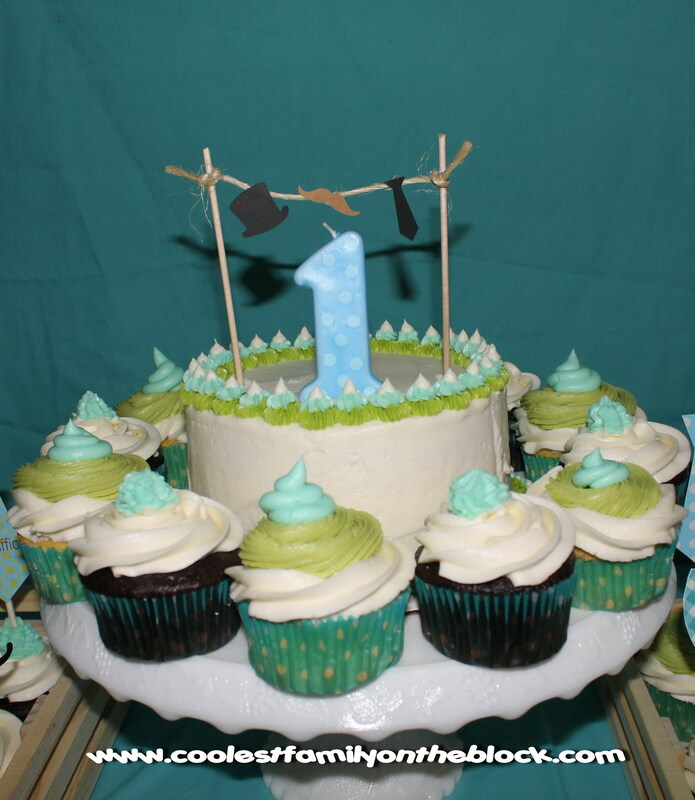 What was your little one’s first birthday theme? How did they react to the smash cake? Let me know in the comments! This post does not contain affiliate links. *Birthday Boy Diaper Cover, Necktie, and Cone Hat Set from JHP Couture on Etsy (Pattern #141) A note about the hat: It actually came with a small white fuzzy pom pom on it but we made a bigger one from yarn to replace it. 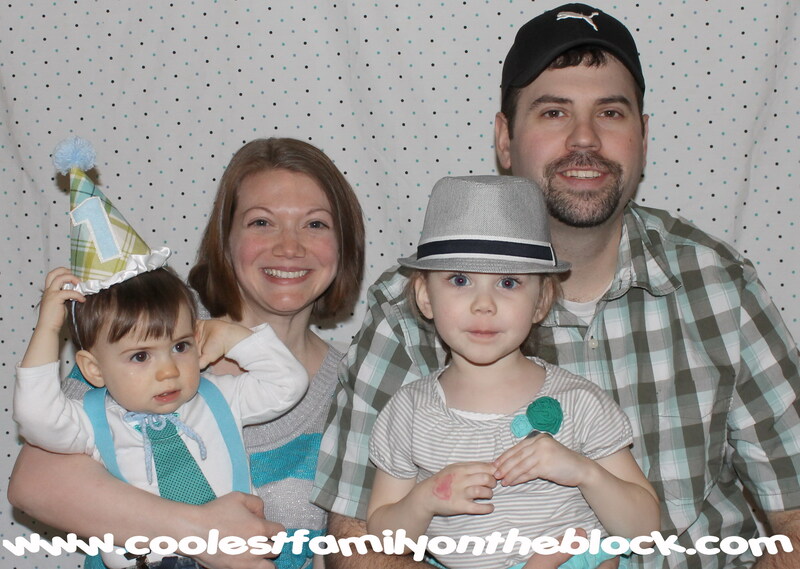 Birthday Traditions: Personalized Birthday CD / Birthday Traditions: Knife and Cake Server / Birthday Traditions: Professional Photos / Birthday Traditions: Photo Puzzle / Happy 2nd Birthday, Adaline! 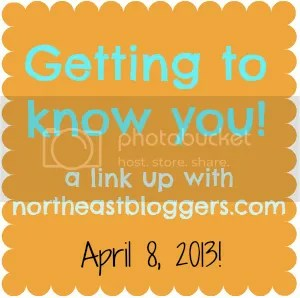 I’m using this post for the Ultimate Blog Party and North East Bloggers Network: Getting to Know You link up. Hi, I’m Jenn! Welcome to my blog! *Dirty dishes make me want to hurl on my shoes (and fyi, I’d rather clean those vomit shoes than the dishes…proof of how much dirty dishes gross me out). *I have a serious addiction to ice cream. *I’m a birth and breastfeeding nerd. I think placentas are rad. I’ve never eaten one but it’s on my bucket list (just kidding…sorta). *I totally crack myself up (I apologize in advance)! 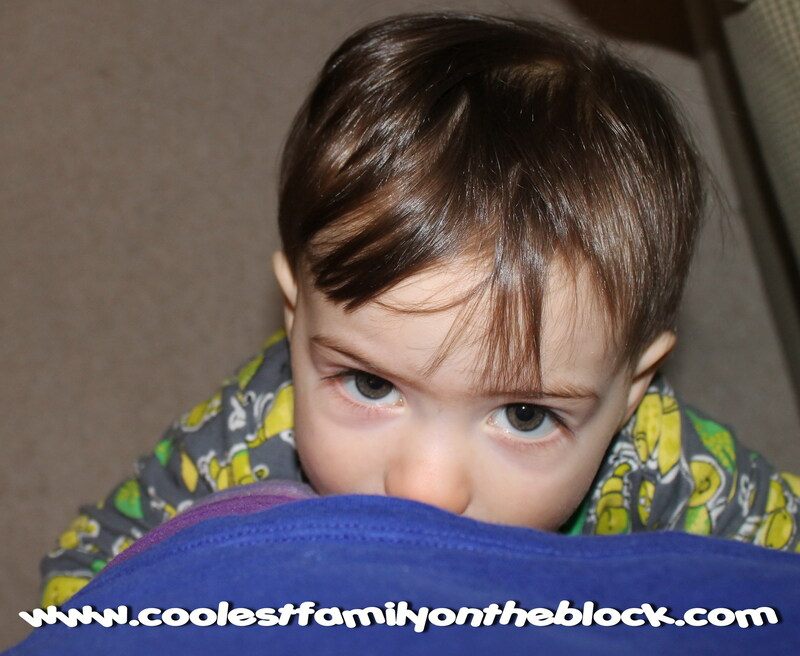 I try to keep my blog focus on creating traditions and family fun and reasons to ditch the housework and spend time with your kids. 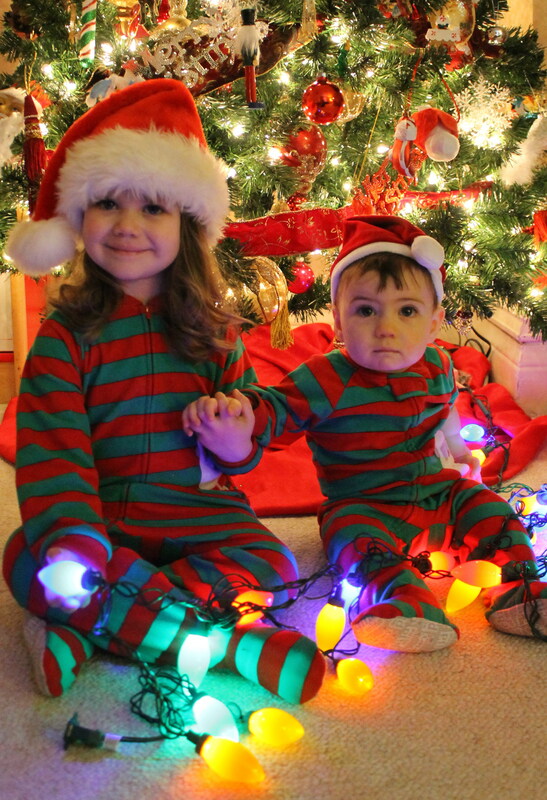 Sometimes I post about myself and the kids and which pajamas I’m wearing underneath the boogers today (I’ll tell you now…I’m probably wearing the same pajamas that I wore yesterday. And the day before that.). The truth is that the actual “spend time with your kids” part kinda keeps me from blogging as often as I’d like…and that’s okay. 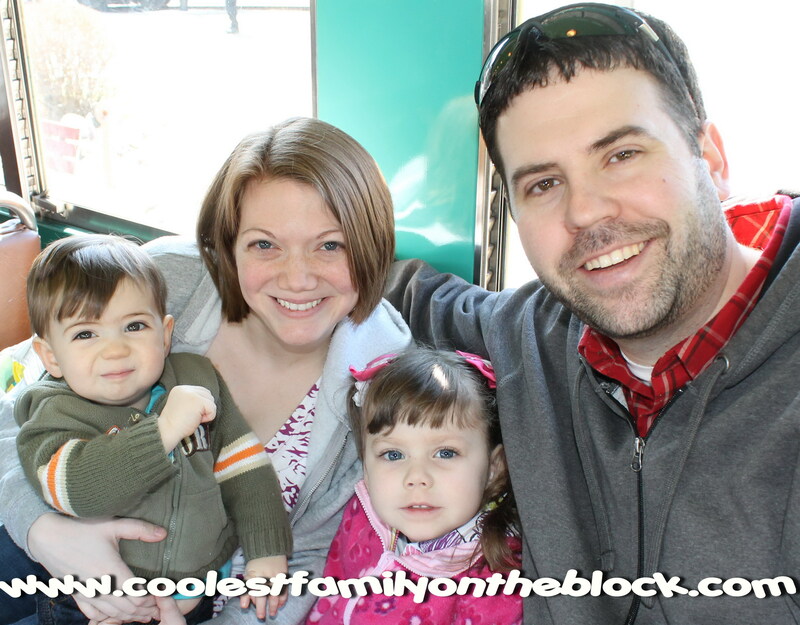 Occasionally the blog will go silent while I tend to things in the real world. 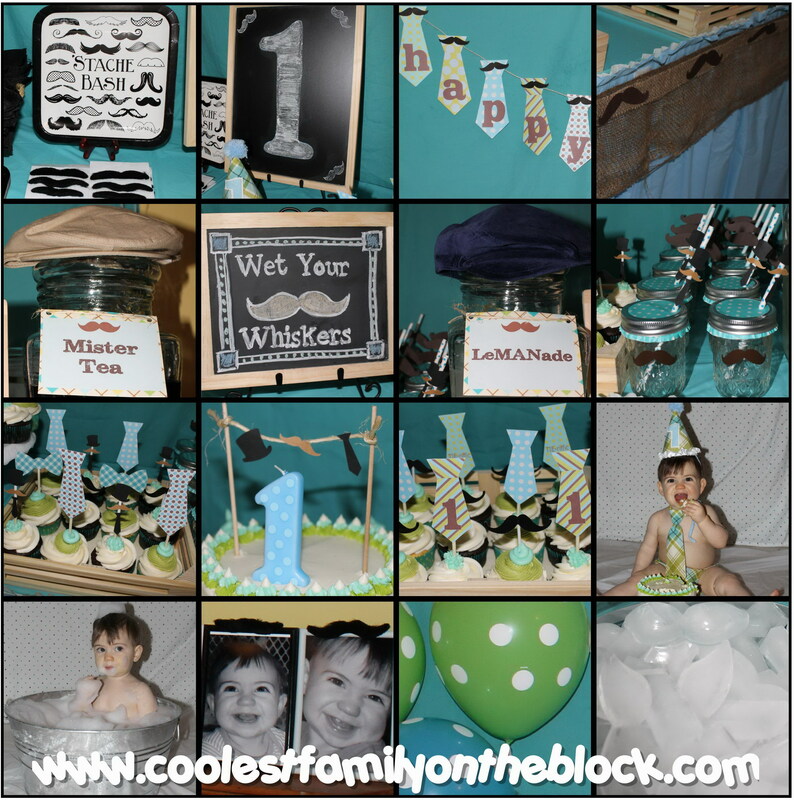 Each year in April I co-host the annual No Housework Party linky with Non-Domestic Mama. Be sure to stop by and link up any (new or old) housework or anti-housework related posts here. 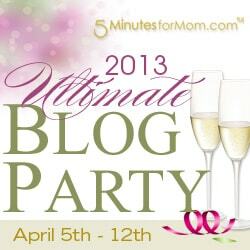 (Don’t forget to add a link back or a No Housework Party Button within your post.) If you don’t link up, that’s okay, I’ll just weep buckets of tears and eat snack cakes while I rock in the corner to take the pain away. I’m prepared for the massive amounts of subscribers that I’m going to acquire any minute now begging me, “Please share your social media links with us, Cool Mama, so that I can follow you every minute in stalker-ish fashion and never miss a moment of your riveting and entertaining bloggy ways!” Well, for you, pretend random stalker-follower from the future, I will do anything. If you’ve fallen in love with me already (it happens, people…don’t fight it) and decided that you just can’t live without me another moment then I’ve made it very easy for you to stalk my every bloggy move. You can find me on Facebook, Twitter, Pinterest, You Tube and more. 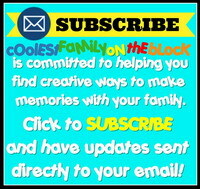 You can find follow and friend buttons, RSS, and email subscription in the header, on the top of the right sidebar, at the very bottom of the blog, and at the bottom of every post. You’ll probably want to subscribe or follow one of those ways. Or all of them…there’s no shame in being a little excessive. We applaud it around here. I’m not desperate, I’m just thorough. Very, very thorough. Ahem. If you do follow me please leave me your links in a comment or message where you’re following at so that I can follow back (as in an “@” on Twitter, post on my FB wall, etc.). Thanks! 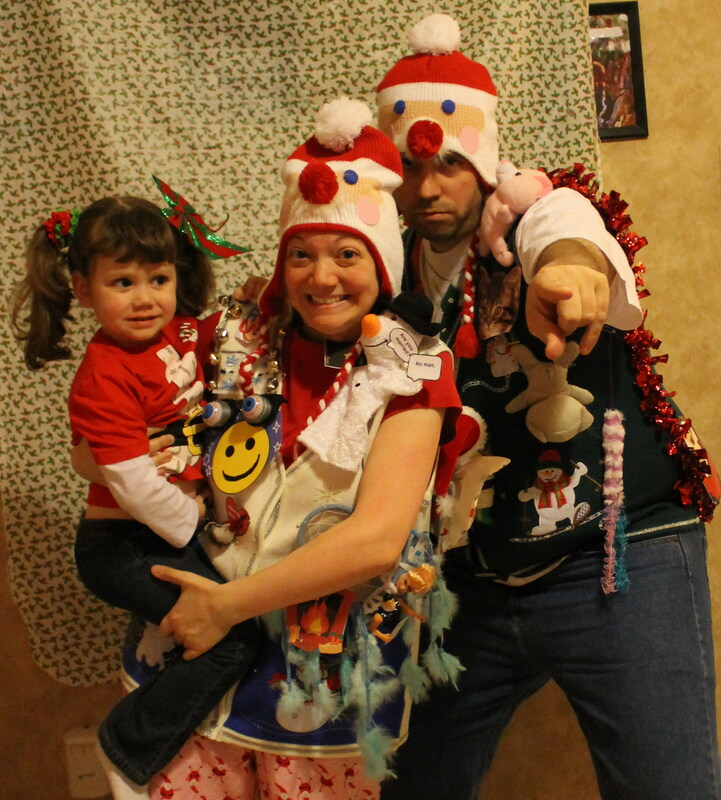 Rocking our Ugly Christmas Sweaters! I’ve been taking a long blogging break. Things have been really busy here in the real world and the family is my priority. I’ll be back eventually, but I’m not sure when. Until then check out my archives for great family fun ideas.